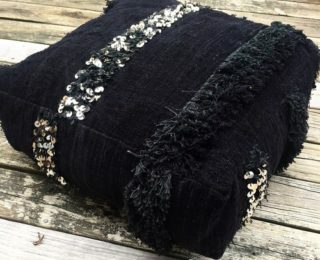 Hand selected these one of a kind Pillows and Poufs are handmade from vintage Moroccan rug. Each pieces is unique and can add an eclectic mix to your home decor. 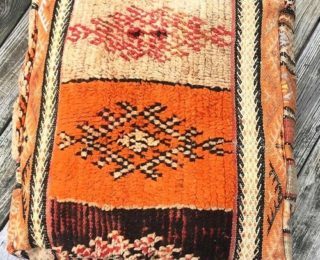 Handmade from vintage Boujaad rugs. 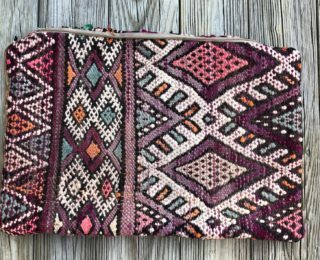 These vibrant pieces will add a Moroccan bohemian vibe to your home.. Place of Origin: Morocco Material: Wool Dimensions: "29 x 14"
How to stuff: Zipper Closure. This is just the cover only, pillow insert is not included. We recommend poly-fil down or down alternative pillow cover or for another alternative you can stuff with sheets and pillow cases. 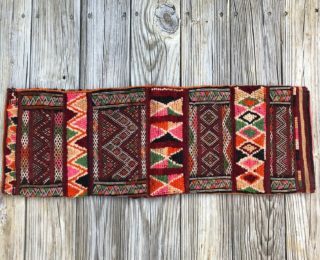 Handmade from vintage Boujaad rugs. 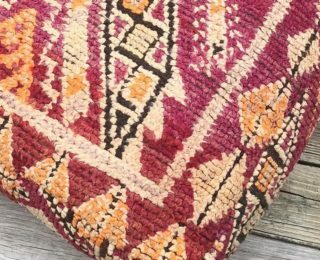 These vibrant pieces will add a Moroccan bohemian vibe to your home.. Place of Origin: Morocco Material: Wool Dimensions: 22"x 16"
Pillow insert is included. Current insert comes with washable cover. Handmade from vintage Boujaad rugs. 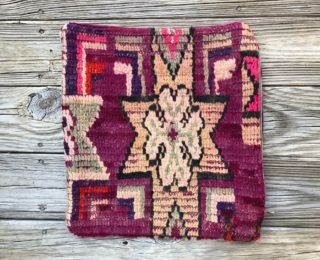 These vibrant pieces will add a Moroccan bohemian vibe to your home.. Place of Origin: Morocco Material: Wool Dimensions: "16 x 16"
This is just the cover only, pillow insert is not included. We recommend a 18″ down or down alternative pillow cover. Handmade from vintage Boujaad rugs. 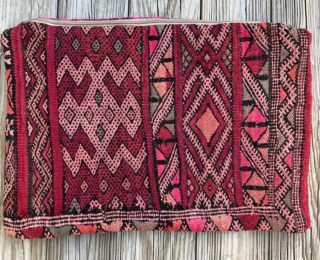 These vibrant pieces will add a Moroccan bohemian vibe to your home.. Place of Origin: Morocco Material: Wool Dimensions: "18 x 18"
This is just the cover only, pillow insert is not included. We recommend a 19" down or down alternative pillow cover. Handmade from vintage Boujaad rugs. 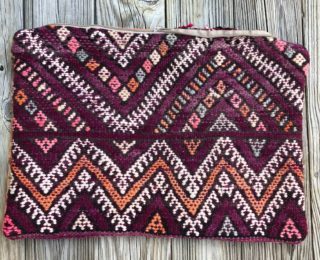 These vibrant pieces will add a Moroccan bohemian vibe to your home.. Place of Origin: Morocco Material: Wool Dimensions: "19 x 19"
This is just the cover only, pillow insert is not included. We recommend a 20" down or down alternative pillow cover. 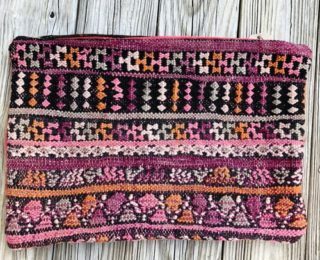 Handmade from vintage Boujaad rugs. 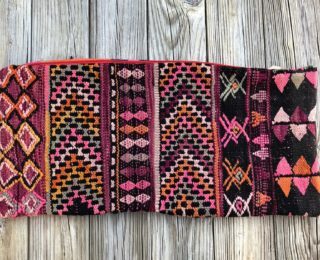 These vibrant pieces will add a Moroccan bohemian vibe to your home.. Place of Origin: Morocco Material: Wool Dimensions: 19"x 13"
Cover only, pillow insert is not included. We recommend a 20 x 13" down or down alternative pillow cover or as an eco-friendly way you can use old pillows cases and sheets to stuff your pillow. The Boujaad Pouf is a classic home addition made from vintage Boujaad rugs. These vibrant pieces will add a Moroccan bohemian vibe to your home. 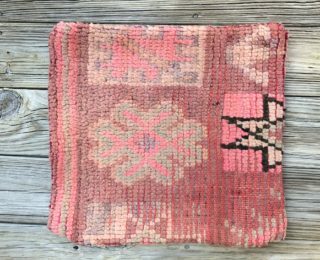 Place of Origin: Morocco Material: Wool Dimensions: 24 x 24 x 8-10"
Handmade from vintage Boujaad rugs. 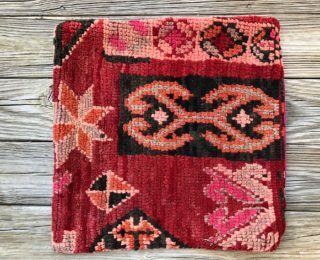 These vibrant pieces will add a Moroccan bohemian vibe to your home.. Place of Origin: Morocco Material: Wool Dimensions: 22"x 15"